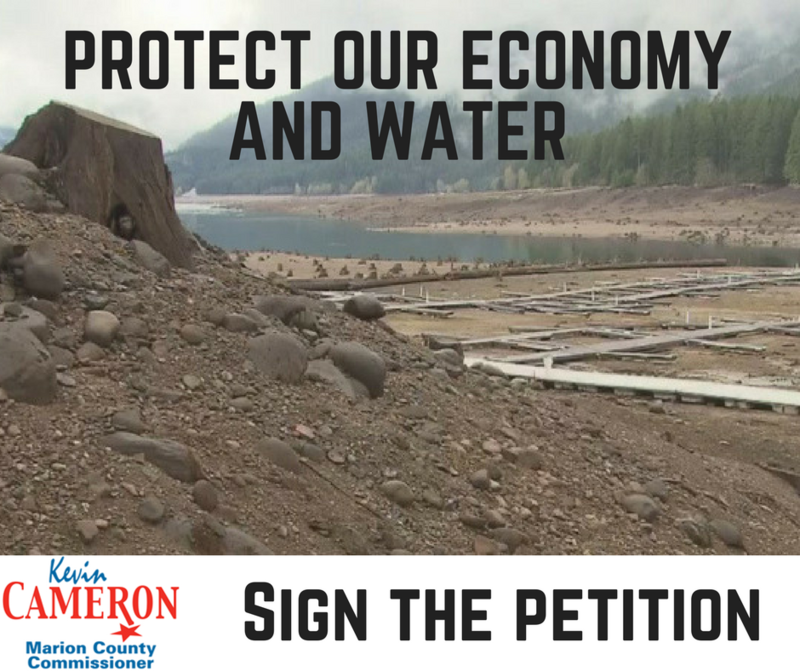 I’m circulating this petition because the Detroit Lake Recreation Area is an integral part of the seasonal economy of the North Santiam River Canyon, and a vital source of water supplies for many Marion County communities. Yet the U.S. Army Corps of Engineers is considering a plan to spend up to $250 million to build a 300-foot tower and floating fish screen on Detroit Lake Dam, which could potentially reduce the lake levels for years. There is no assurance the project will benefit fish. A similar project on the Cougar Reservoir on the South Fork McKenzie River kept that lake empty for three years. We have become increasingly concerned about the project’s potential impact to water supplies for Salem, Stayton, Turner and other cities along the river; as well as for farmland irrigation. During the recent drought, Salem and other communities came dangerously close to running out of water as Detroit Lake sat nearly empty. Just as importantly, we are concerned about the economic impacts to communities near Detroit Lake that have been hard hit by drought and wildfire. Draining the lake would mean no boating, swimming and fishing, which will impact our small businesses especially during the summer months The U.S. Army Corps of Engineers is accepting public comments on the project through January 23. You can also join me by signing my petition in sending an important message to the U.S. Army Corps of Engineers that they must protect our economy and water supplies.